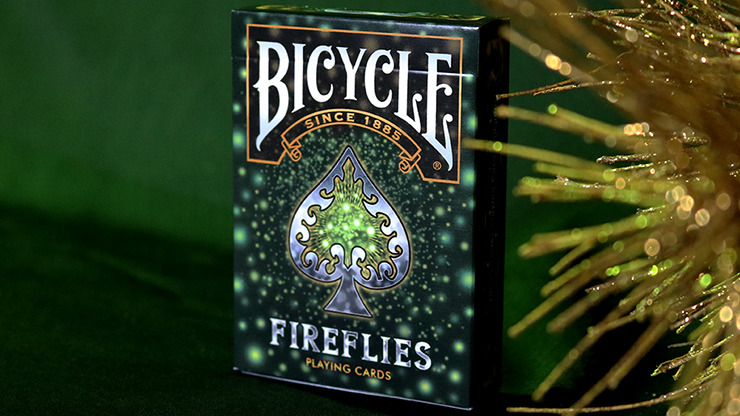 Now you can evoke pleasant memories of summers gone by watching or chasing fireflies thanks to Bicycle Fireflies Playing Cards by Collectable Playing Cards. 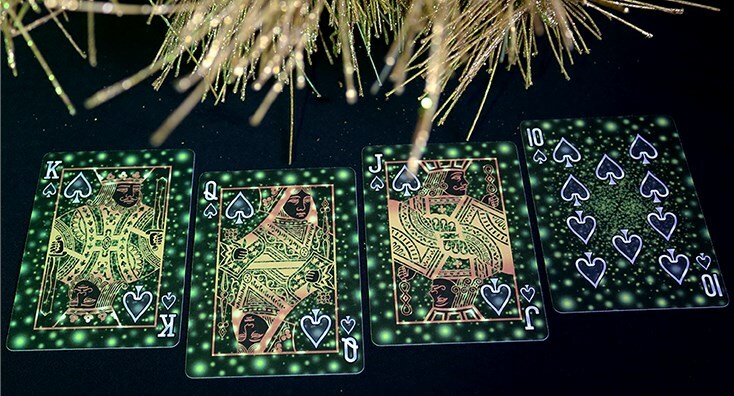 The court card faces are classic design in gold and black, but with neon flicks of color added to simulate fireflies, while the numbered cards are brimming with countless motes of neon light. 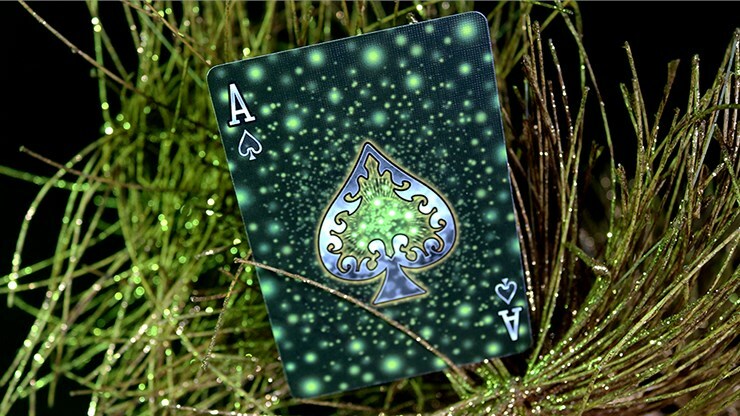 The card backs continue the neon light theme, but with the addition of two firefly outlines. 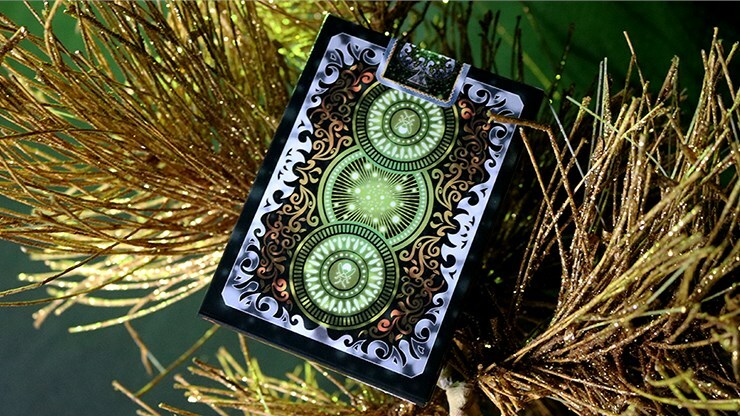 All this is housed in a tuck case with custom seal that continues the motif and really stands out thanks to the use of neon colors and a silver spade! 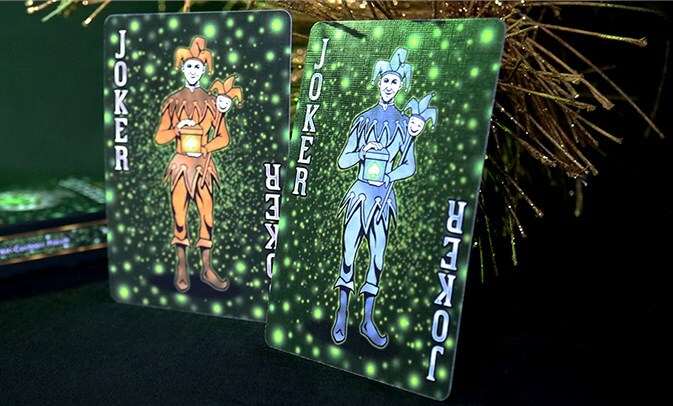 The cards themselves are USPCC printed with an Air-Cushion finish for ease of handling. 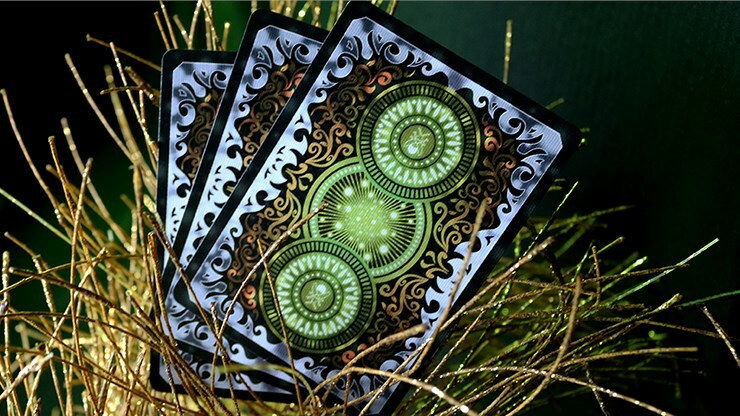 So bask in the warm idyllic summer nights once again and get your decks today!